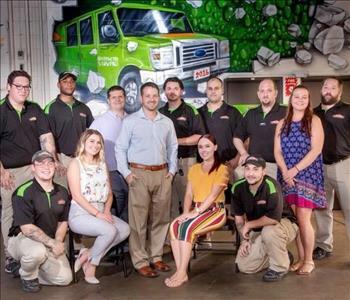 This is a group shot taken of our stellar SERVPRO crew back in August 2018. We couldn't be more proud to have such a compassionate, dedicated and hard working team. Thank you for all you do! 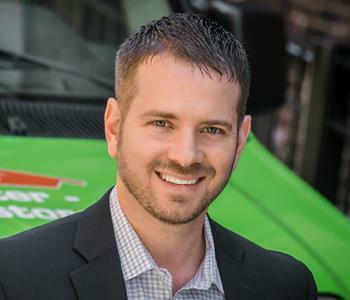 Doug is the President and Owner of SERVPRO of Marion/Middleborough. Doug grew up in Dartmouth and after working 10 years for a Fortune 500 company, came back to the South Coast Area to follow his passion and fulfill a life-long dream of being a business owner. Doug is part of the CEO Round Table; on the Board of the South Coast Chamber of Commerce, on their Integration Committee and a member of the Bristol County and Cranberry Country Chamber of Commerce; on the Board of the Community Foundation and a member of their Development Committee; Campaign Chair of the United Way of the Greater New Bedford and on the New Bedford Regeneration Committee. He is also an active member of the South Coast Business Alliance (SCBA), Realtor Association of Southeastern Mass (RASEM) as well as the South Coast & Greater Fall River Young Professionals Networks. He is proud of all that his team has accomplished thus far and is excited to see the company continue to flourish. Darcey is our Office Manager at SERVPRO of Marion/Middleborough. She had worked as a Production Supervisor at an asset retrieval company for eight years before joining our team, making her the perfect fit for her current role here. 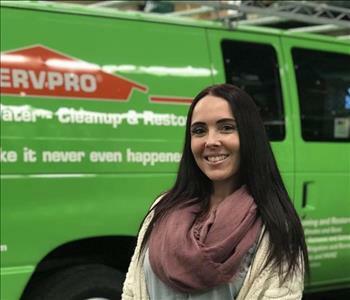 Darcey's favorite part about working at SERVPRO of Marion/Middleborough has been the knowledge she's learned about the restoration process. During her time with us, she’s become a certified Notary Public. On top of the ability to help those in need, Darcey loves the work environment at SERVPRO and is happy to be part of such an awesome team! Joyce is part of the Administrative team here at SERVPRO of Marion/Middleboro. She has a background in the Hospitality/Customer Service industry which she worked in for eight years prior to joining us. Outside of work, Joyce enjoys spending time with her fiancé and family, traveling, and going on adventures. 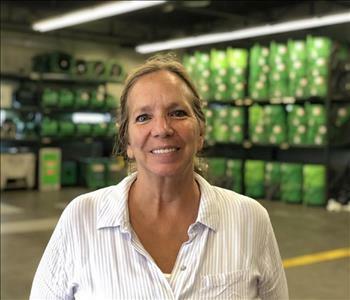 Joyce’s favorite part about working at SERVPRO of Marion/Middleboro is the ablility to help those in need, the work environment and her awesome coworkers! As the Marketing Manager, some of Chris’ responsibilities are the planning of events, ensuring that we are consistently building and maintaining relationships throughout the communities we serve and that we are engaged on social media. Chris brings with him over 20 years of sales and marketing experience. He’s very active in the local Chambers of Commerce and other organizations. His favorite thing about working for SERVPRO is most certainly “notworking” (aka networking) which is essentially relationship building. In addition, he is using those connections to help others succeed. He takes great pride in knowing that he’s able to help people going through disasters to get their lives back to normal, or as we like to say… “Like it never even happened”! 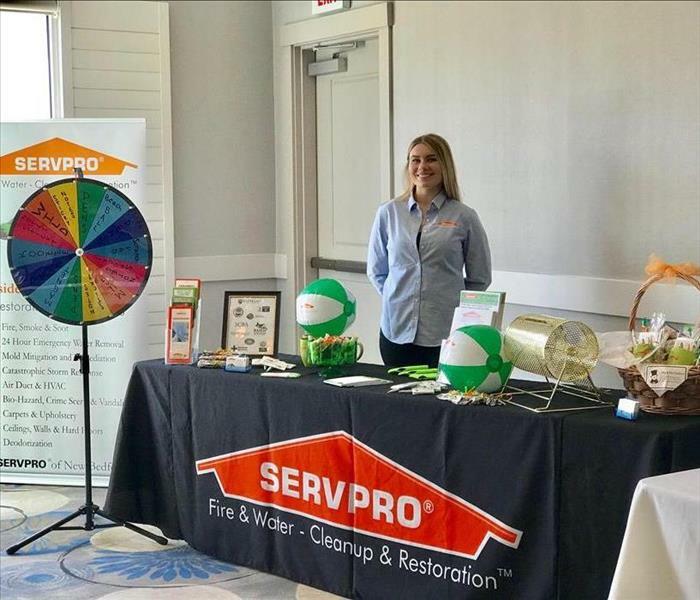 Brieanna is one of our Sales & Marketing Rep here at SERVPRO of Marion/Middleborough. 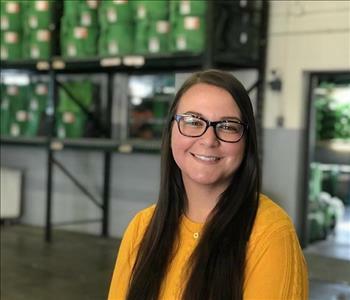 She recently graduated from Bristol Community College with an Associates in Communications and while in school, began interning at the SouthCoast Chamber of Commerce. In the midst of school and her internship, Brieanna worked as a Store Manager for a local franchise. Outside of work, Brieanna enjoys going out with friends and to concerts, and travelling to new and exciting places. 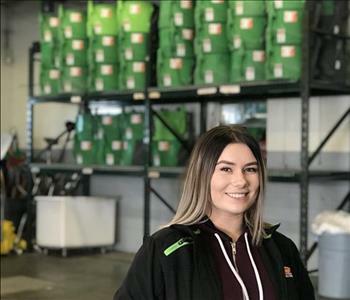 Brieanna’s favorite part about working at SERVPRO has been the wonderful people she’s met on her travels and the relationships she’s been able to build with them, along with the people she works with. 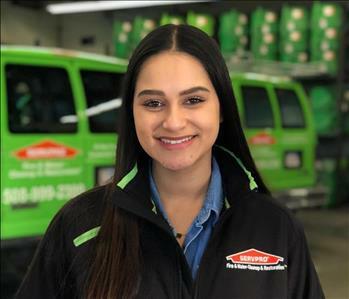 Ana is one of our Sales and Marketing Representatives for SERVPRO of Marion/Middleborough. She is an accomplished Advertising & Marketing professional with four years’ experience at a national advertising agency. There, she became certified in practical and technical industry systems such as Google Ads & Google Analytics, while also honing in on her marketing and event coordination skills. During her time there, she was able to assist a number of businesses by strategizing and creating effective mixed marketing campaigns that helped her customers reach their goals. Ana is also fluent in Portuguese and is eager to serve the community! Outside of work, Ana enjoys spending time with family, volunteering at her church, hiking, and going on new adventures. 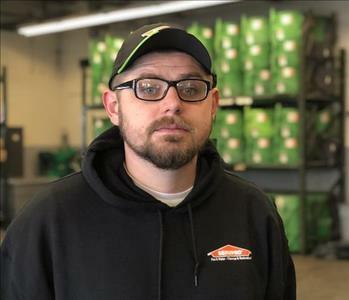 Matt is a Production Technician with SERVPRO of Marion/Middleboro. He is extremely knowledgeable in this line of work thanks to his past which includes HVAC installation & maintenance. Outside of work, Matt enjoys spending time with his family as well as fishing, camping and watching & playing sports. 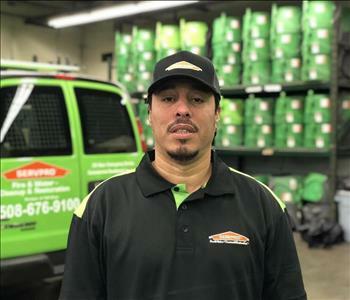 Matt’s favorite part about working for SERVPRO is tackling a new challenge every day while making sure our customers are properly taken care of. 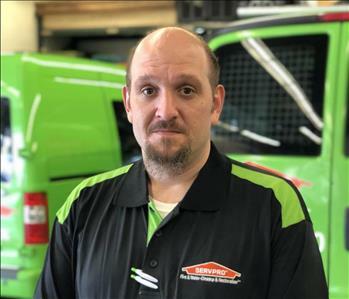 Matthew “Matt” Hopkins is a Crew Chief at SERVPRO of Marion/Middleborough with experience not only in clean-up & restoration work, but in painting and construction as well. Matt’s enjoyment for this line of work stems from not only helping people in their time of need, but from the actual work itself. His knowledge and ability to lead a team has shown through –and–through with each job he’s completed and we feel very lucky to have him as part of our family! In his spare time, Matt enjoys spending time with family & friends, playing video games, and attending concerts. An interesting fact about Matt is that he is over 50% Native American! On top of being able to help those in need, Matt enjoys the company of his coworkers and the team work they share. 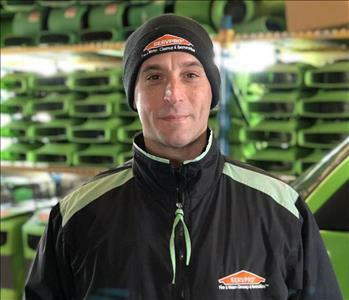 DJ Calabrese is a Crew Chief here at SERVPRO of Marion/Middleborough.